Adam Treloar has never been afraid to get his hands dirty. 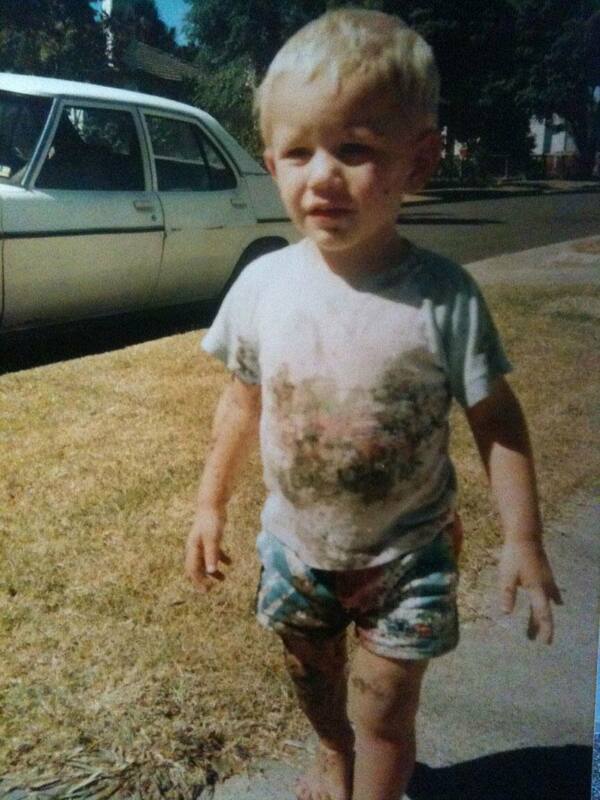 Adam Treloar never had a problem getting dirty as a child, especially if he was chasing a footy into the mud. Treloar, a tough in-and-under midfielder who played his junior years at Noble Park Football Club, said his relentlessness on the field developed from years of backyard matches against his brother, Travis. “I basically did whatever he did so if he got in the mud, then I usually wouldn’t be far behind,” Treloar said. “When this photo was taken I think we had been wrestling and like usual he probably got the better of me. Treloar is among 10 GIANTS who are on track to chalk up their 50-game milestone this season. He arrived at the GIANTS in 2011 as a 17-year-old underage recruit from the Dandenong Stingrays. ‘Before they were GIANTS’ is a series of stories that showcase the lives of GIANTS players before they became professional footballers.